We're jokingly calling our weather today a January hurricane. While I don't think hurricanes are something to joke about, the wind and rain we had last night and throughout the morning sounded worse than I remember the hurricanes sounding. We watched as the power blinked off a time or two and most of our windows leaked. We ran around with towels and buckets to catch the water. We felt the house shake, and listened to the walls and windows creak and pop. The boys thought it was pretty scary. It also meant we had very little sleep. Everyone being overtired and starting to suffer a bit from cabin fever made for a pretty difficult day. Our day started out OK. Most of the morning was spent listening to the boys sing along with their MP3 players. Alec and Evan just finally opened theirs from Christmas and had me put some songs on them. Great music appreciation! They even sat together sharing ear buds trying to teach other the lyrics,though I don't think any of them knew all the lyrics! I love listening to them make up their own lyrics. I think the best one was Evan's rendition of Bon Jovi's Livin' on a Prayer--- he kept calling it Livin' on a Prairie ("like where the prairie dogs live mom!"). Hilarious! While homeschooling is very challenging at times I find winter is one of the toughest times of year for us. Living in New England our weather can be pretty unpredictable so many organizations don't plan much in the way of field trips or classes during the winter. Travelling isn't always easy and the cold weather makes going outside a bit daunting. Being cooped up together all the time often leads to us all being a bit short tempered. Get out when we can! When there is a day the sun is peeking out and the temps are tolerable we will drop our schoolwork and go outside. Getting fresh air, sunshine, and just having space to spread out helps so much. Meet up with other people. Part of our problem with cabin fever is that we just get sick of only having one another to talk to so getting out of the house to meet up with friends, family, and other people is a nice break. I find meeting up with other homeschool moms particularly helpful as I soon realize we're not the only ones suffering through these troubles this season. Change up our days. We often use the winter months to hit the books hard and catch up on missed work from field trips and park days the rest of the year but that can get boring and monotonous. When cabin fever is at it's peak I find it helpful to mix up our days a bit. We'll set the books aside and watch movies, play games, break out some messy supplies and get creative. Institute a quite time. Encouraging the boys to each spend time alone for just an hour or so a day with toys, books, puzzles, drawing supplies, or single player games gives us all a break from one another and a chance to rediscover a fun hobby that we might have been neglecting. I've even been known to splurge on a new set of building materials or some new art supplies to get those creative juices flowing. Exercise indoors. One of the biggest problems with being cooped up indoors with my boys is that they have no outlet for all their extra energy. I look for ways we can expel that extra energy. We jump and dance around playing Wii together, pup in an exercise video, challenge each other to push- up, jumping jack, or even sit up battles. We head out of the house for some bowling, go to a trampoline park, or roller skating rink. Anything to get them up and moving and help tire them out seems to help plus all that exercise leaves us feeling good and flooded with endorphins. Today we tried meeting up with other people... but it didn't really seem to help! We had an early lunch and headed to our local library to meet our homeschool group for another game day. We brought the games Sorry Sliders, Clue and Add a Bug. We had a new little 8 year old boy join our group and I thought that would be great since he's right around the same age as my oldest 2. Unfortunately, since my three boys were in rare form they didn't make a great impression. They fought, bickered, yelled and cried. Ian and Alec almost came to blows with each other over playing Clue, and while I tried to interject (unsuccessfully) another mom came over and broke them up and got them settled. I didn't mind at all. It seemed like my three boys had all been fighting on and off all day and my nerves and patience were just shot. We all ended up cleaning up and leaving early-- I felt a bit better knowing it wasn't just my kids. Most of the moms were complaining about behaviors and all the kids were just a little more intense than usual even bickering with their friends. Proof that it must be cabin fever, right?! Alec ended up not playing games after a bit and sat by himself reading a library book. One that we picked up when we arrived and he returned it before we left! I was so glad he had that book to help him settle himself. I know the point of game day is to socialize but I don't force my kids and I think today Alec made a wise choice to find an area and read to himself. He was having a difficult day and reading is something that calms him. Once home Alec played quietly with his zoo animals and Evan took Ben 10 guys to his room while Ian played outside and I thought, oh good the rough patch has passed and look how nicely they're occupying themselves. But, after much fighting, eye rolling, attitudes, and just plain meanness from each of the boys I had had it and told them all they were going to bed early. All was completely silent by 7:30/8:00 so I'm sure they were tired. 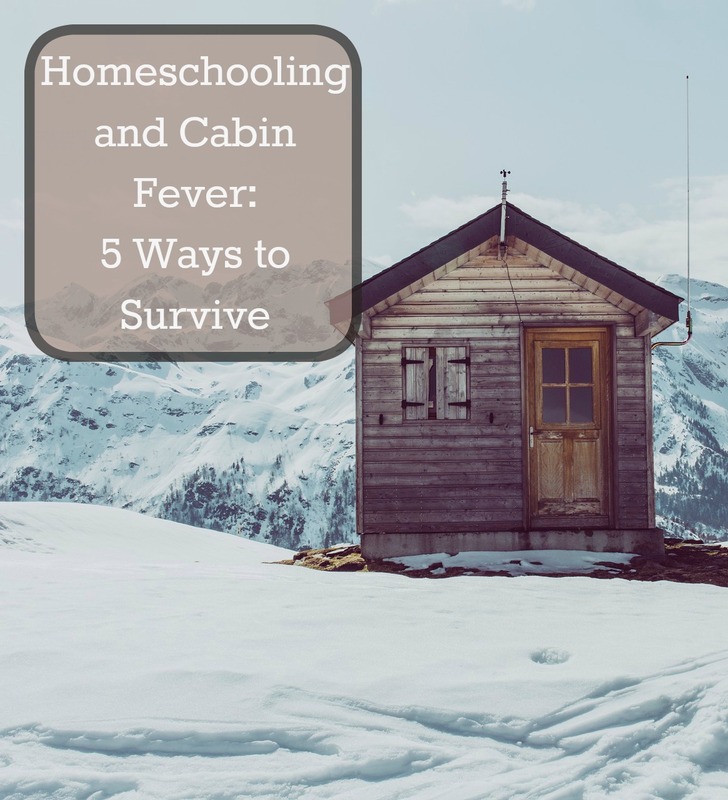 Battling cabin fever in the winter is one of the hardest aspects of homeschooling. But we'll try something new tomorrow and hope that this too shall pass... soon. I feel ya. My kids are young and I feel like they just argue constantly. Drives me freaking crazy! I feel like a 2 and 5 year old should not fight this much! We do try to get outside as much as possible, even in the winter, but some days it doesn't seem like it helps. Yesterday was one of those days for us. At least for my 5 year old. Can I blame it on grandparents coming over? Usually it's when I think I can not take one more minute or day of fighting and bickering that they all suddenly decide to get along and play nice for a bit... or else I banish them all to their rooms just I can get some peace... I kept nap/ rest time in our schedule waaay past the time my kids actually napped in the afternoon.